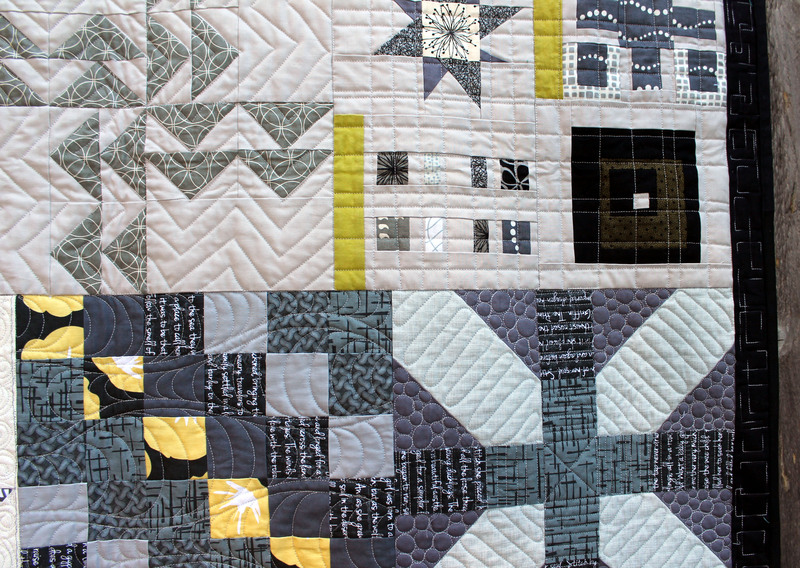 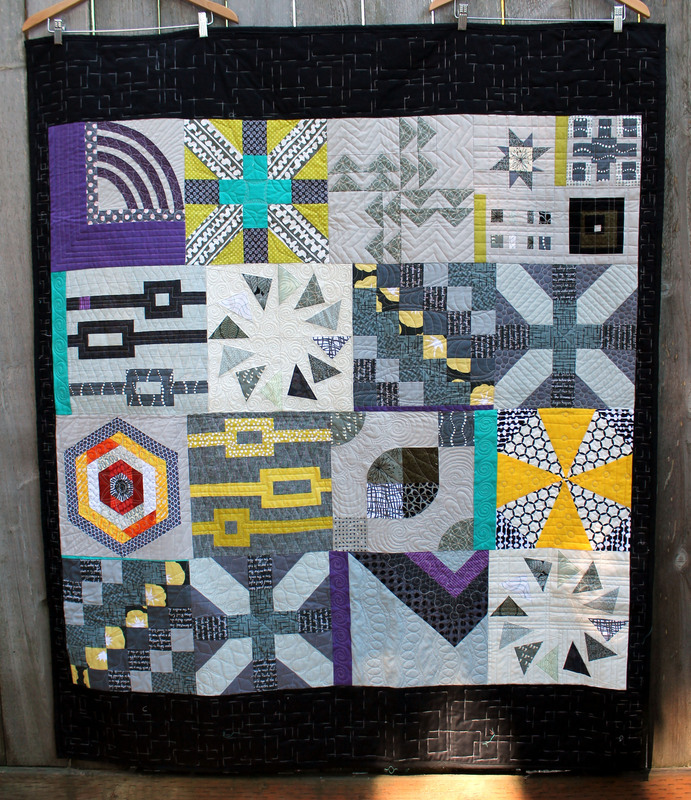 I wanted to share another one of Portland Modern Quilt Guild’s charity quilts… the blocks for this quilt were made in October 2014 and we now have a beautiful finished quilt…. 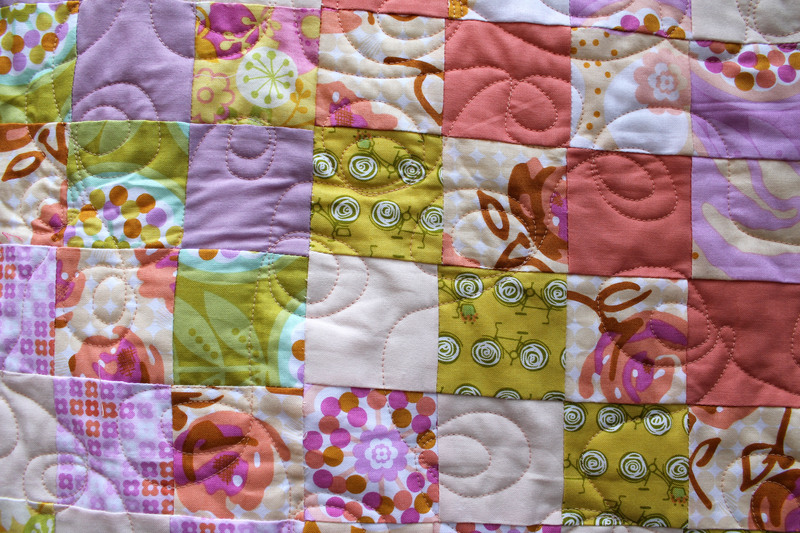 I love the wonky cross block for group sewing because it is so easy to make… with lots of wiggly room and creative options for any miss-sizing issues. 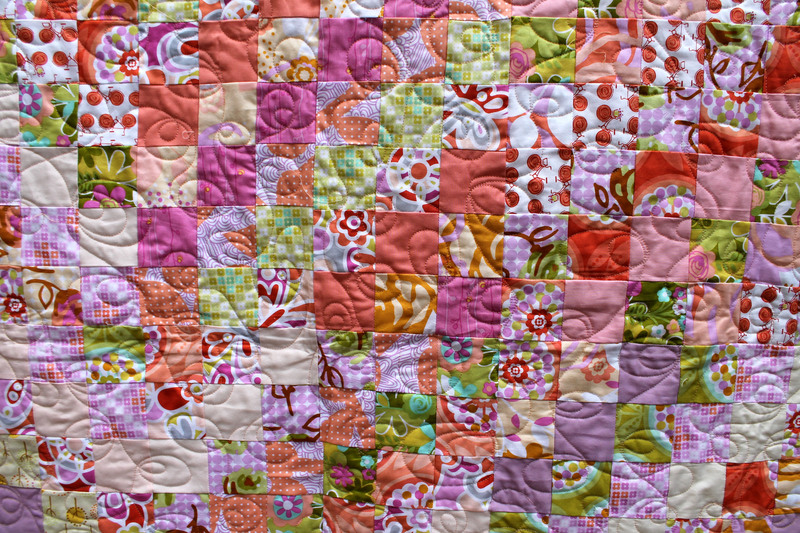 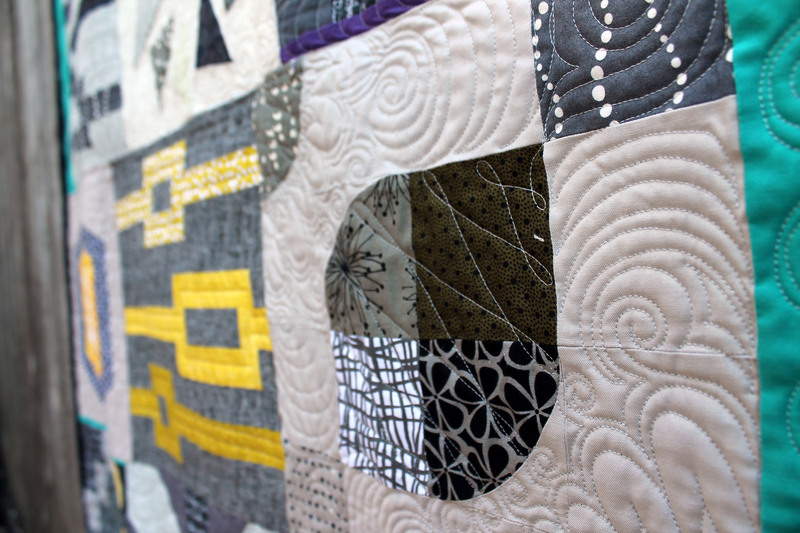 …which also gave our fabulous quilter, Coleen Bernhardt from the Quilted Thistle, room to play. 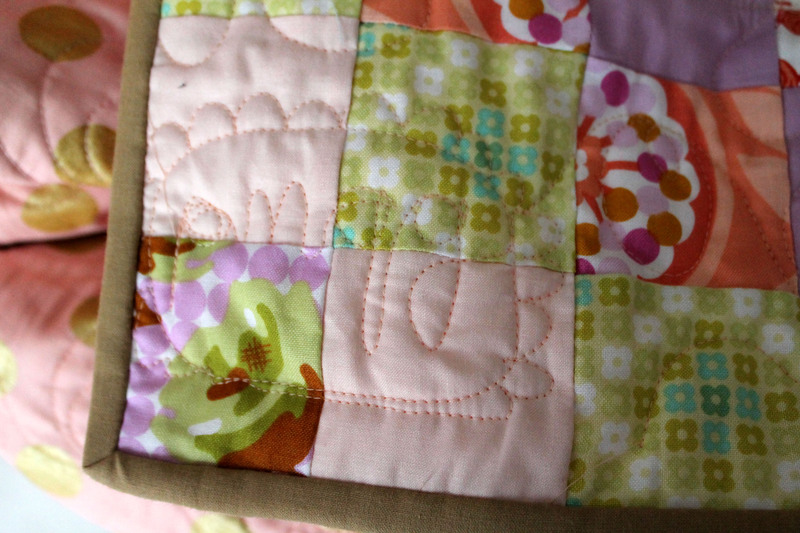 Add some binding and you have another wonderful quilt ready to give some comfort. 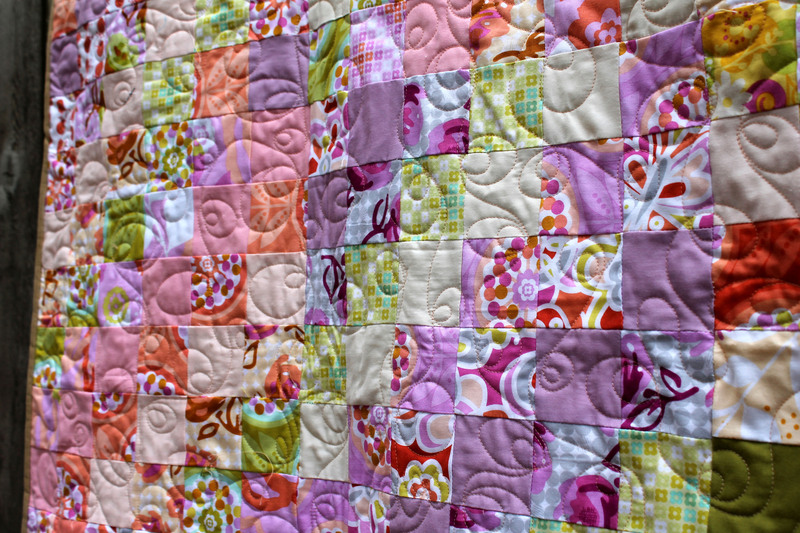 Today I wanted to share with you another one of the beautiful quilts members of my Quilt Guild made for our charity program. 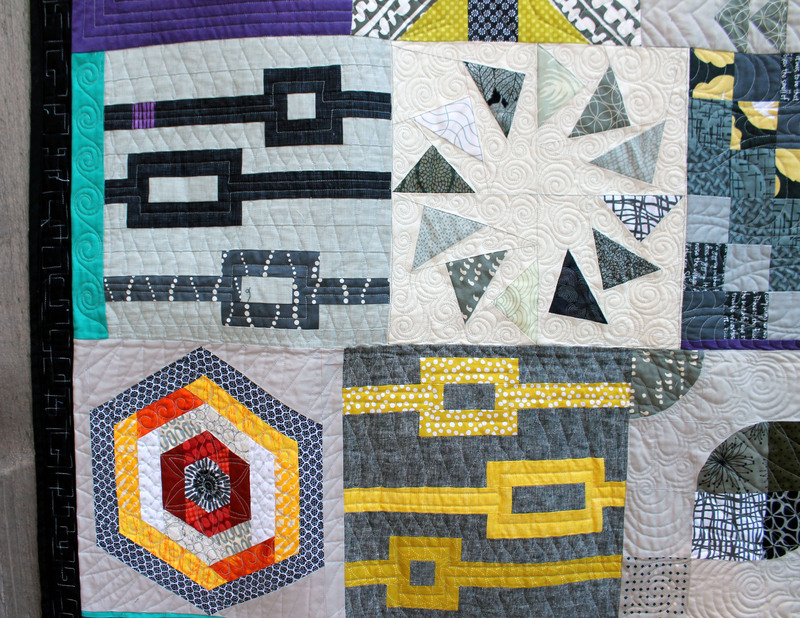 This amazing Modern Sampler quilt was pieced using blocks that members of the Guild made a couple of years ago as part of our BOM program. 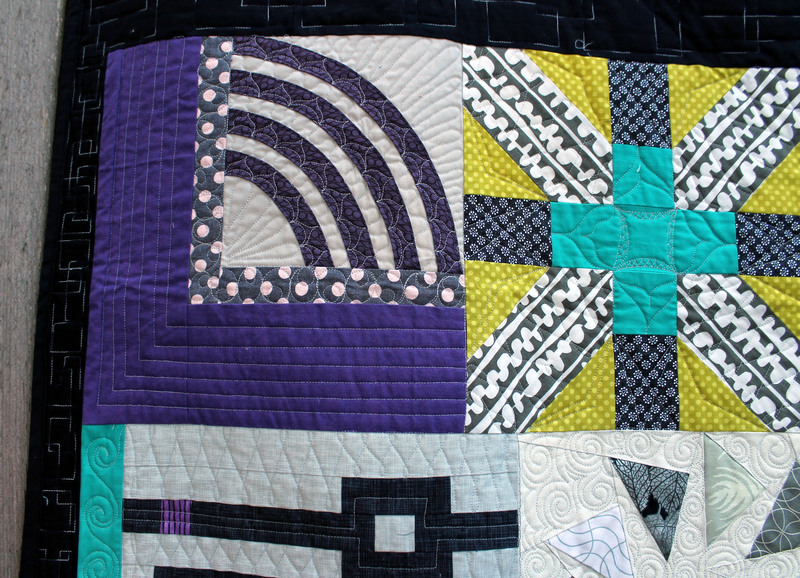 One of our members, Michelle took a bag of blocks and whipped up this amazing top… using fun strips of solid colours to make the different sized blocks work. 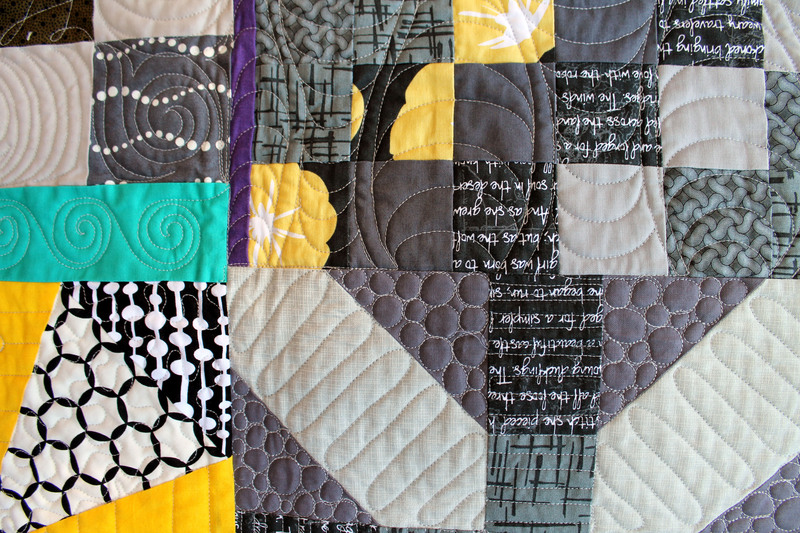 I love the colour way… that purple and aqua in particular make me very happy. 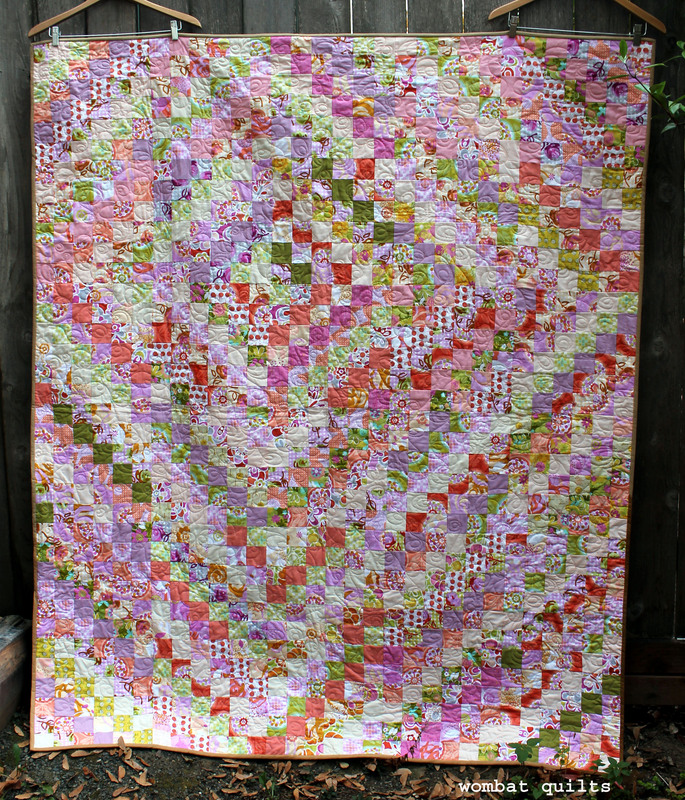 Another of our fabulous members, Colleen Barnhardt of The Quilted Thistle then took the top and wove her magic all over it. 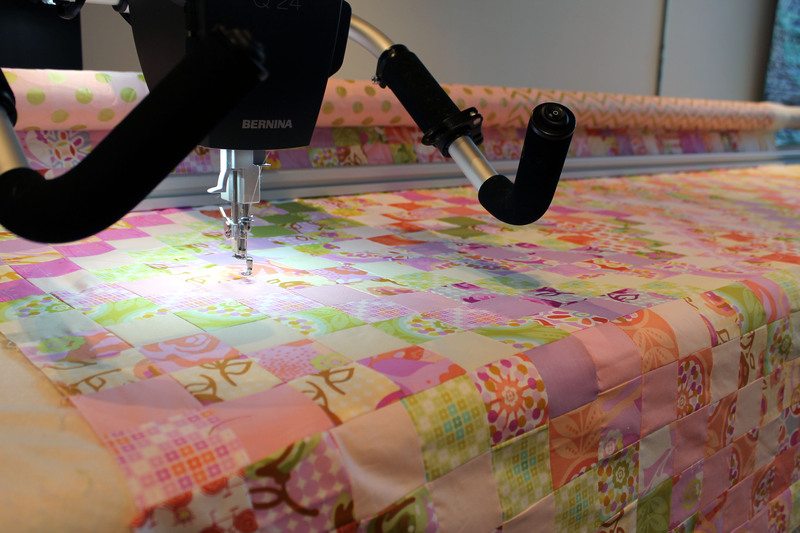 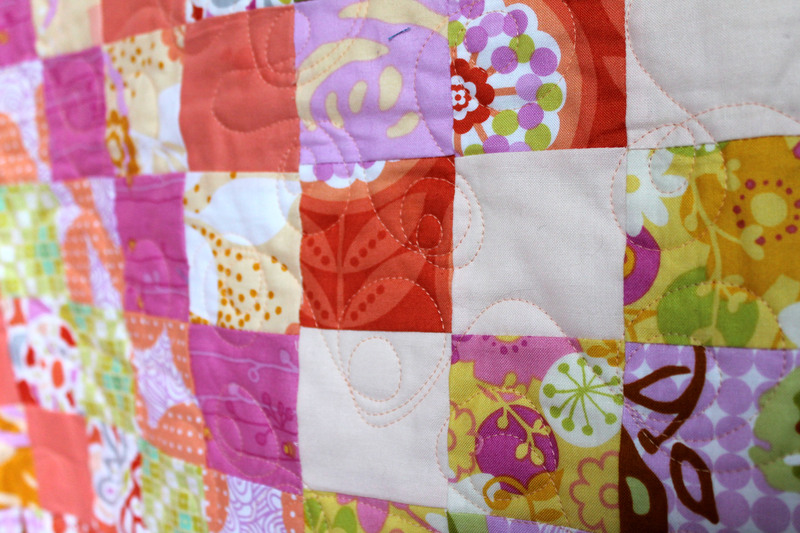 Colleen has only been quilting on a long arm for under a year which is so hard to believe because she is so AMAZING! 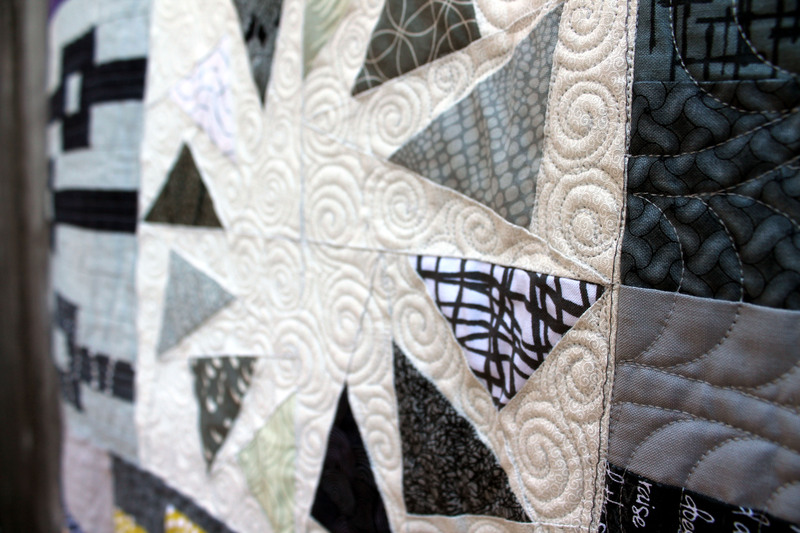 And all around the border of the quilt, Colleen added a geometric pattern in variegated cotton that just adds the most perfect border and bought the quilt together. 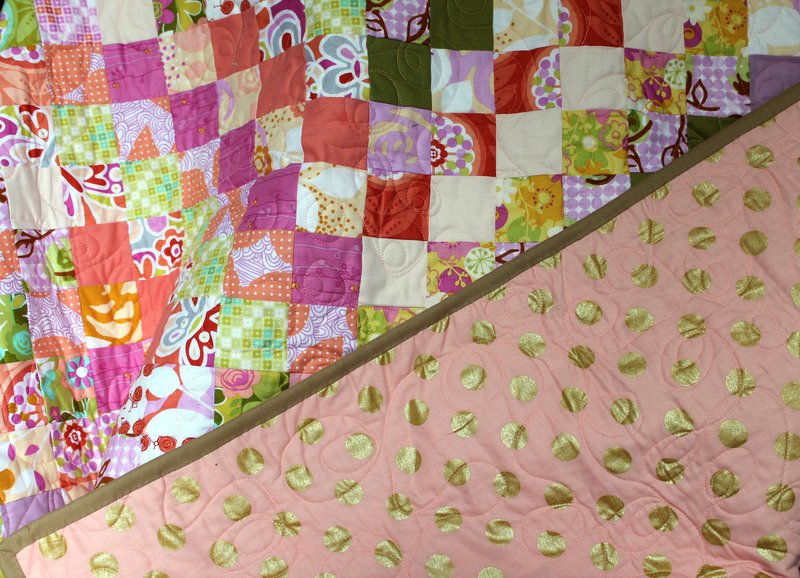 Yesterday I dropped off this quilt, and 11 others (including Wonky Trees) to Camp Erin, a local camp for kids who dealing with the death of someone close to them. 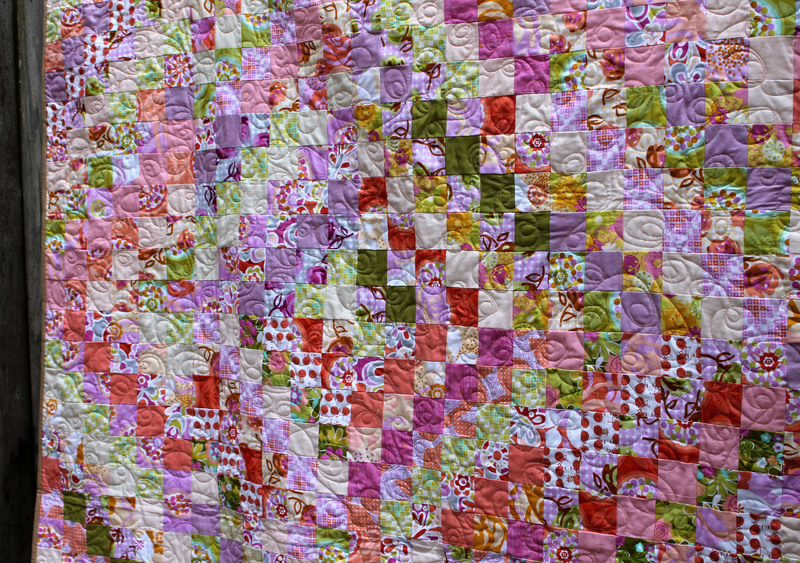 I am so proud that our Guild does such great work for such good causes.